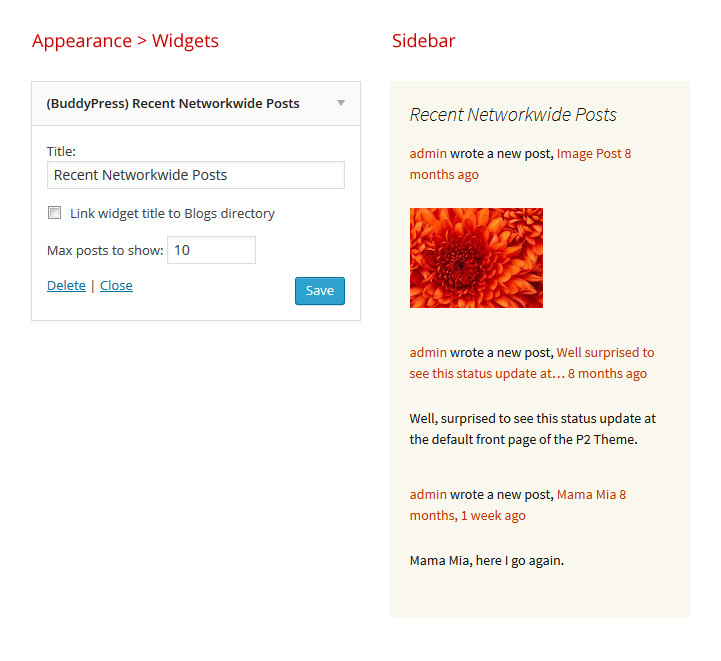 BuddyPress provides widgets which you can add to any of your theme’s widget areas. 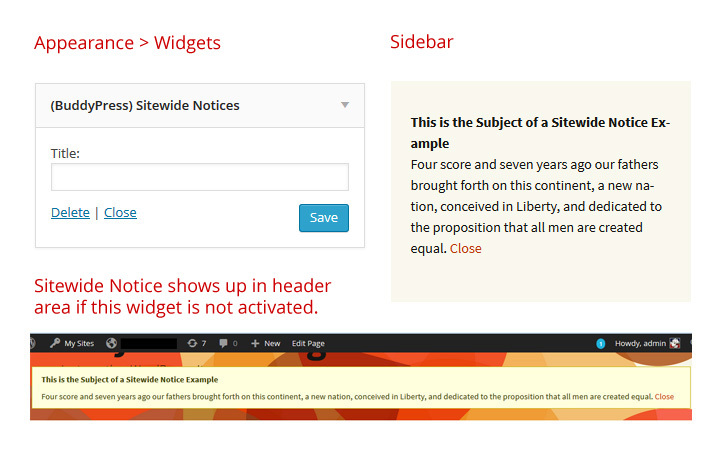 To activate these, go to dashboard menu Appearance > Widgets. 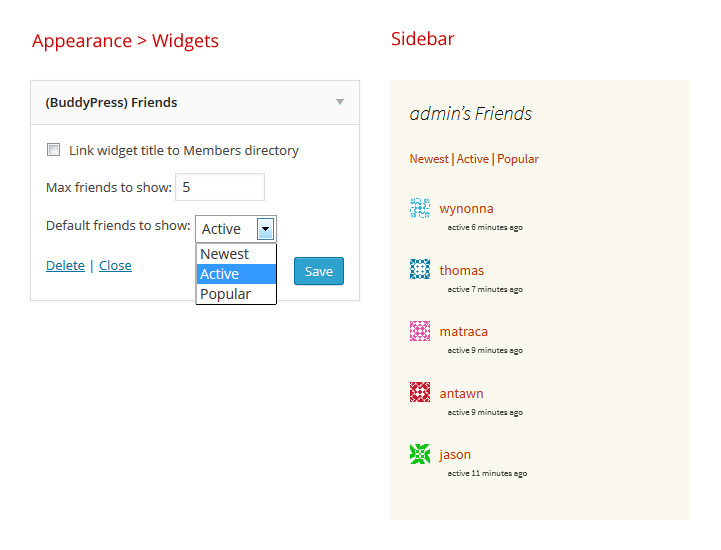 A dynamic list of recently active, popular, and newest Friends of the displayed member. 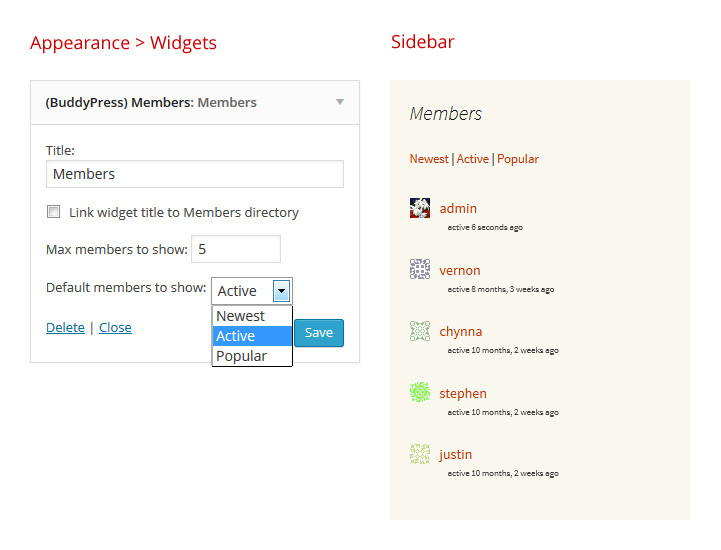 Widget is only shown when viewing a member profile. 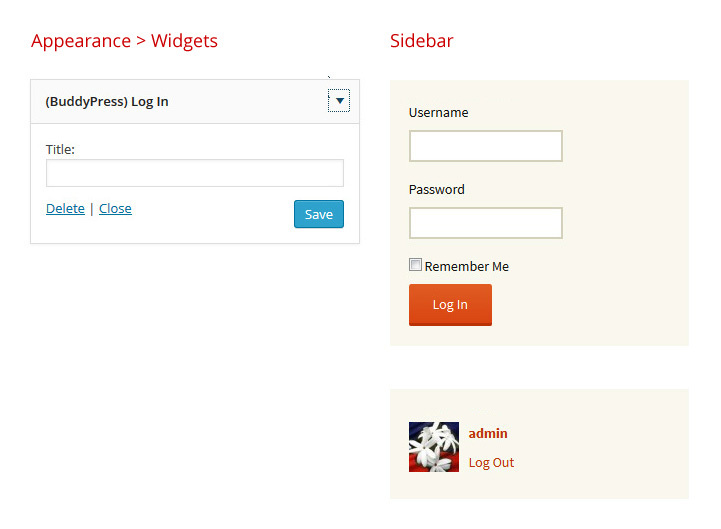 Show a Log In form to logged-out visitors, and a Log Out link to those who are logged in.